Suan na Mara is a delightful self-catering cottage located near the village of Killala, in scenic North Mayo, operated by Bridie and her family. With a view of Moyne Abbey from the front door, it is ideally situated as a touring base for the Wild Atlantic Way, surrounded by Irish history at the Ceide Fields, numerous Abbeys and other monastic settlements, as well as enjoying close proximity to stunning beaches and natural phenomenon such as Dun Briste at Downpatrick Head. 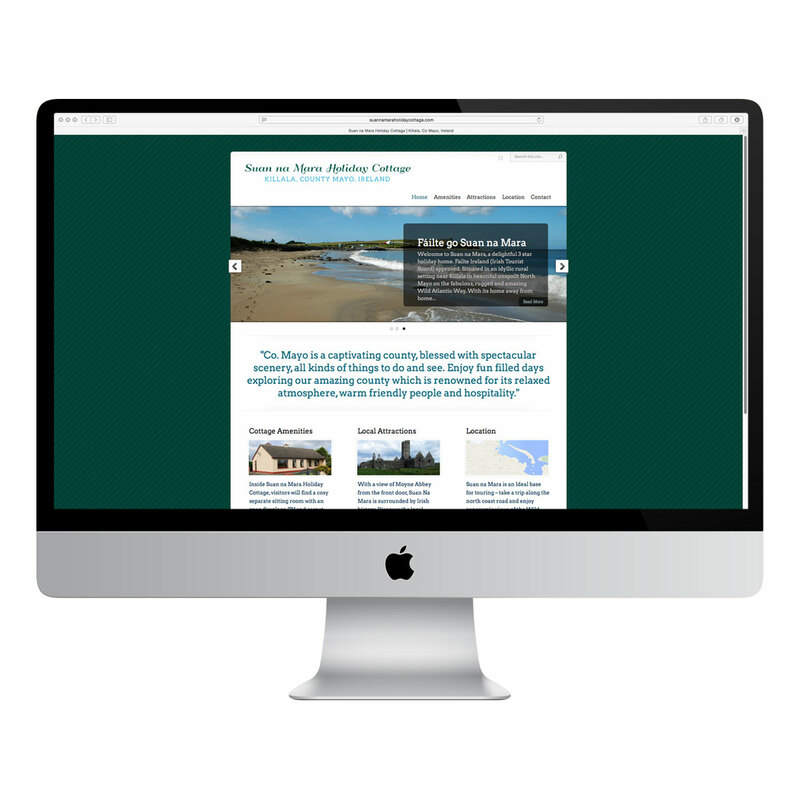 We created a site that is clear and user friendly, responsive on mobile devices, and easy for Bridie to update. We also helped set up a facebook page which is integrated into the site and Bridie is already busy adding photos and new followers with great enthusiasm!